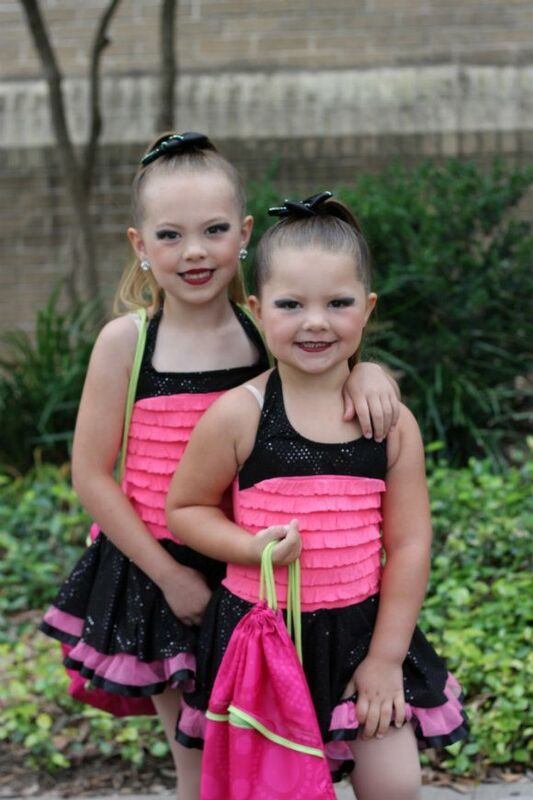 My girls had their dance recital this past weekend, performing jazz, ballet, and tap routines. They did wonderful and were really proud of themselves. It's amazing how far they've come. This year was the first in four years that I haven't HAD to be a stage mom just so that my kid would actually go out on stage. At our first dance recital, when just my oldest was taking, she didn't ever get out of the crouched beginning pose the entire song, and then could be heard crying as I rushed her off-stage afterwards. Cut to this year, she's doing "Ooh-Ahh" facials at the audience. Even though the recital was a success, I was left with a bad taste in my mouth about the whole day due to my girls' bad behavior following the recital. My girls were upset and moody for various reasons (really, it doesn't take much these days....sometimes I think we're hitting pre-pre-puberty). 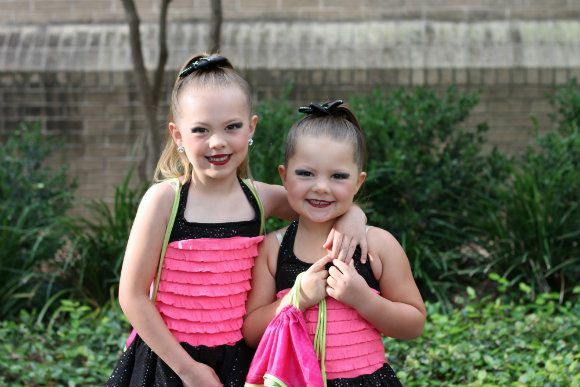 Sadly, these were the only pictures I was able (allowed) to get of the girls, which were taken before the recital. Actually, I did get some afterwards, but they involve tears and running makeup. What I had wanted to be such a happy time of congratulations and family togetherness, was tainted by us (my husband and I) having to enforce consequences for their behavior. My hope is that they'll look back on that day and only remember the great time they had exhibiting their dancing talents and hard work, rather than their poor choices and upset feelings. And hope for a better "post-recital" next year.